Some of the most exciting and rewarding hunting in the Lone Star state can be found though Texas hunting leases. These agreements have been around for a long time, but they are only now becoming truly popular. One of the main reasons they are becoming so popular is because they are easier now to locate than ever before. In fact, with just a few minutes of effort, you can find the best offerings available and at prices that will not shock you. It is because of the Internet that you can now find hunting leases within minutes. In the good old days, you had to rely on your favorite hunting magazines or your friends to learn about the offerings that were available. This was not the best way to get to the best deals and the best lands. Often, by the time the magazine arrived at the stand, the offering was already bought up by someone else. Today, you can simply search the internet and within seconds you will have the information that you need to get started. But finding leases are not the same as understanding them. If you have take part in these types of agreements in the past then you already know the importance of reading the agreement completely before signing it. Newer hunters may not be as familiar with this process and so a few tips are included here to help those hunters stay out of trouble. The two most important issues that you should understand before signing Texas hunting leases are that these documents are legal documents and, second, the landowner can insert anything that he or she wants into them. You should understand that once you sign the agreement you are bound by it and must obey the rules contained in it. The second issue is that the landowner can modify these as he or she wishes. There are no such things as cookie cutter agreements. You should read each of them as if it were a brand new agreement. If at any time you have questions or do not understand something, you ask for clarification before signing. Landowners will be happy to explain anything that you do not understand. Texas hunting leases are a grand way to use lands that you would otherwise not be able to use, but they do need that you take a few minutes to read through and understand. You should always remember that hunting leases are legal documents. As such, they will hold up in court, so do not sign anything that you are not willing to obey. 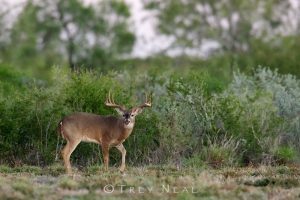 What Good is a Texas Deer Hunting Lease?